The radio star in question, Steve Fullerton, interviewed yours truly, for the AM 1240 KLYQ Local Events Radio Show, airing tomorrow at 8:00 am Mountain Time! And always available on the net, of course. 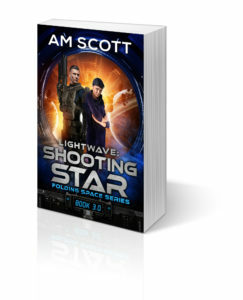 We talk about my writing process, how I came up with the idea for Lightwave: Clocker, and my upcoming appearance at Chapter One Book Store. I’ll be reading and answering questions at Chapter One on Oct 12th, at 7:00 pm. I am ridiculously excited about this appearance, and I had a ton of fun talking to Steve for the radio show. I hope to see you at Chapter One!